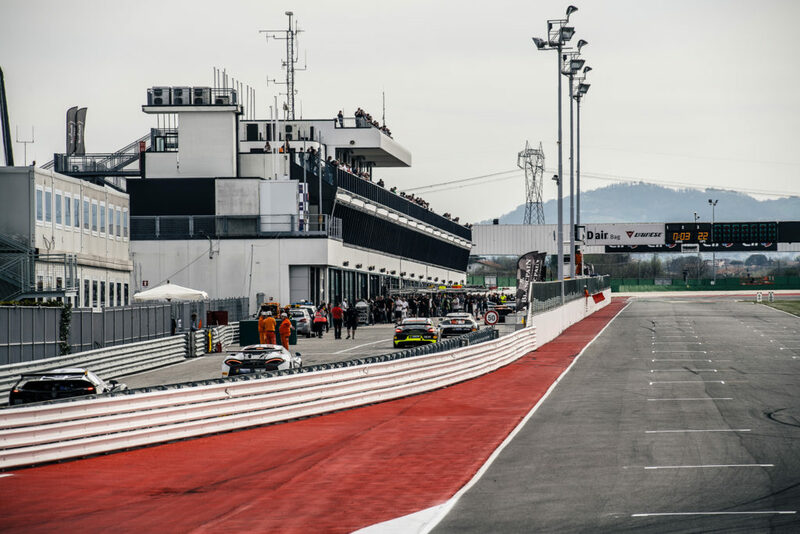 Italy is a country with a long list of circuits available for motorsport events and also there are located some of the popular circuits for Formula 1 and Moto GP, like “Autodromo Enzo e Dino Ferrari” in Imola and “Autodromo Nazionale Monza” in Monza. 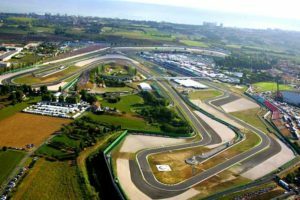 In western part of Italy in Riviera di Rimini, is located the “Misano World Circuit Marco SImoncelli” in Misano Adriatico, which nowadays is mostly a Moto GP venue. 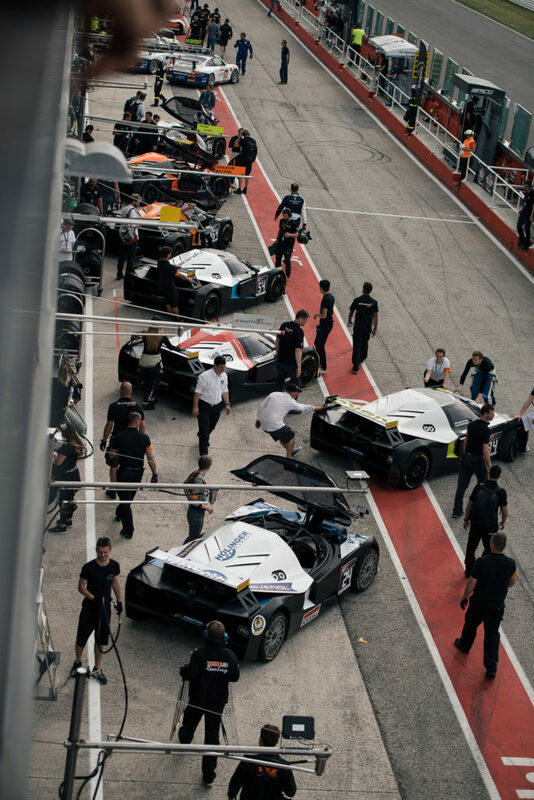 For 2017, the first race of GT4 European Series Norther Cup took place in Misano, so let’s take a look on the circuit history and morphology. The idea for a circuit in Misano started from private owners who met many obstacles until 1970, where design for the Autodromo di Santamonica was approved. The idea came true in 1972 with many differences from the current circuit specifications. A simple design, compliant with safety regulations but not so exciting to drive. By the time the circuit was technically too short to host a World Championship, so by 1993 its length was increased to FIM required length and were followed by changes in garages, technical areas reception rooms, paddocks and pit buildings. As its main target races were relevant to motorcycle, most of changes were madeto make circuit available to host as much visitors as possible and provide drivers with a challenging circuit. All of these had one main purpose, be able to host Moto GP. By 2009 Marco Simoncelli Circuit had the capacity to 75,000 spectators, 26,000 of which are in seated in grandstands and the circuit shape was challenging. Its original name was “Circuito Internazionalle Santamonica” and changed in 2012 to its current name after Marco Simocelli, a local professional motorcycle driver, who died in October 2011 in Malaysian Grand Prix at Sepang. 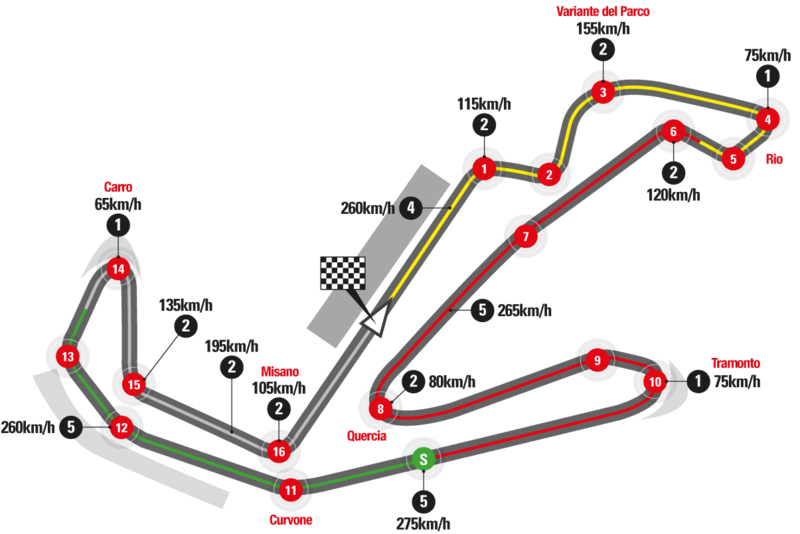 Since 1993 where took place its first modification, the circuit has been upgraded with new garages, entries and the circuit itself by increasing the length to 4.2 km in a clockwise direction. The road width is 14 meter and has a total of 16 corners, 10 right and 6 left. Last, its longest straight is of total 0.565 km.